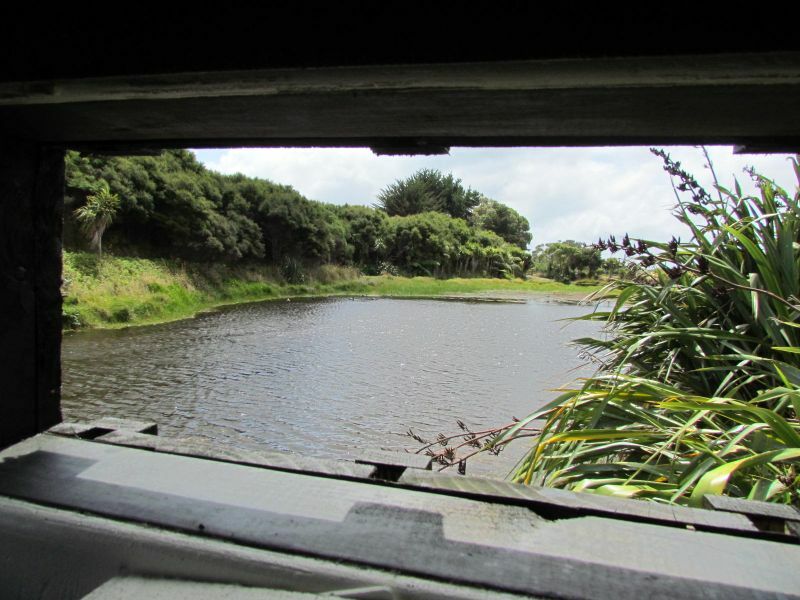 Yesterday, the family and I visited a newly-built bird hide at the wetlands in QEII Park, near Paekakariki (see Paekakariki: perch of the green parrot). 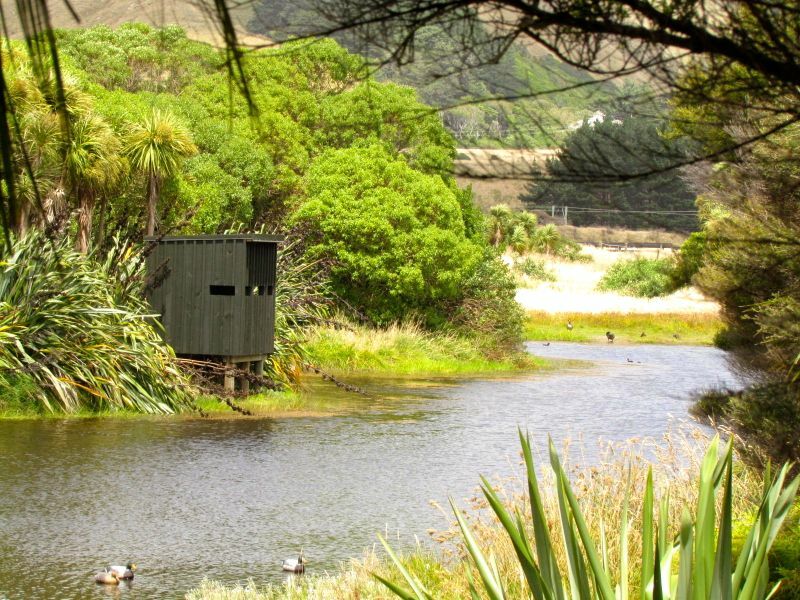 This bird hide differs from the traditional duck-shooter’s “maimai”, in that the only shooting it provides for is with a camera. The wetland it looks out on has an interesting history. This is not one of the original dune swamps or lagoons that once lay here, but one recreated by machine and human labour. This regional park encompasses a wide band of dunelands, which stretch from Paekakariki in the south to Patea in the north. 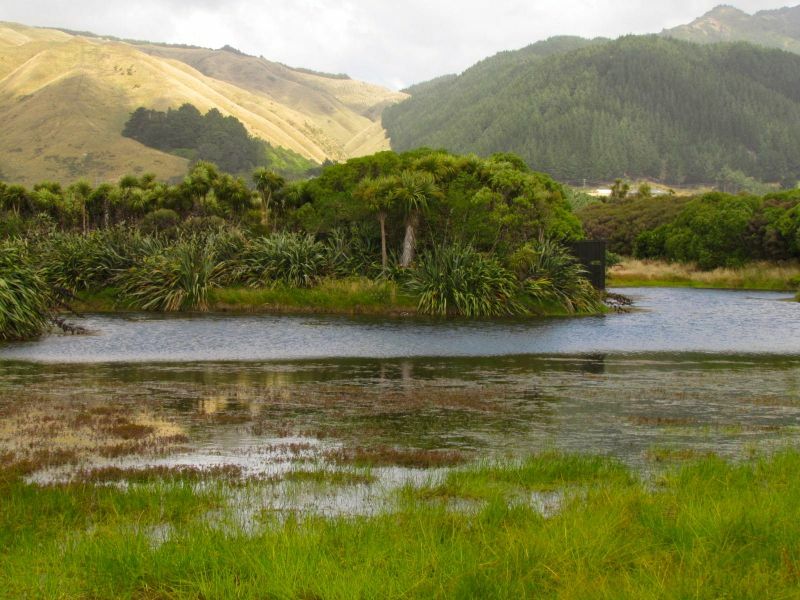 The older, more established, dunes were once covered in forest, while between the dunes were scattered peat-bottomed swamps, surrounded by swamp-loving kahikatea forest. In pre-European times, the sea provided Maori with plenitude of shellfish and fish (the evidence of which can be found in middens along the foredunes), and the dune lagoons and swamps would have provided the much-prized tuna (or eel). When Europeans came, the wetlands were drained and all but a few small pockets of forest milled or burnt to make way for pastoral farming. During the war, the area became Camp Mackays, a US Marines training base. Its life as a regional park began in 1953. When the bulldozers moved in to create the wetland, the bulldozer blades str uck something unexpected – munitions and other military equipment that had been buried before the marines left Camp Mackay. Today, the wetland is mercifully free of explosives, munitions or duck-shooters’ guns, and the vista from the bird hide can be enjoyed in peace. Oh! That was interesting indeed. I am planning to spend some time there asap. Great to know more about it. Nice article will look to visit the area next time I’m in Wellington.